The What: After the year that was 2017, we (the human race) have much to think about, reconcile and resolve when it comes to how we treat one another and, because of that, one shouldn’t be too surprised if art (in its various and powerful forms) in 2018 has a tendency to reflect as much. Here’s to a better state of human being. 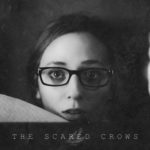 The Where: You can learn more about The Scared Crows via the usual suspects such as their Facebook page and at @TheScaredCrows on Twitter.